Former U.S. Surgeon General, Dr. C. Everett Koop, speaks in this short SAMHSA video about the need in America for ready access drug treatment. Many diseases and health conditions, including drug dependency, can be effectively managed through proper medications and best practice treatment interventions. Drug addiction is a true brain disease. Drug use causes disruption in the brain's normal production of many natural chemicals including neurotransmitters essential to mood stability and emotional regulation. Opioid addiction is not just about heroin or traditional "hard drugs". There has been a rapid increase in the use, and abuse, of prescription pain killers in America. Government estimates now put prescription pain pill abuse considerably ahead of heroin addiction. For more on this important topic, consider Dr. Jana Burson's book, Pain Pill Addiction: A Prescription for Hope. Opioid dependency is a treatable illness. Addiction can be effectively managed. Detox, outpatient counseling, inpatient rehab, 12 Step support, and medication assisted treatment (such as methadone or suboxone) can all play a role in helping individuals to establish a healthy, drug-free life. With an estimated two million people in America dealing with an opioid problem, finding solutions is obviously important to a great many individuals and families. Drug addiction treatment has been around for many decades as have Alcoholics Anonymous and Narcotics Anonymous self-help programs. 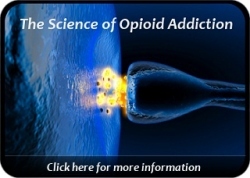 Opioid dependency, in particular, can be a very tough addiction to live with due to the powerful physiological addiction (and withdrawal syndrome) that opiate addicts must face. However, people find recovery every day. Or perhaps more accurately said: People choose the path of recovery every day. Recovery from opiate addiction is entirely possible and always available. Unfortunately, addiction tends to wear people down and sap one's energy. For this and other reasons, individuals will sometimes put off seeking treatment telling themselves "I'll call for help tomorrow." When tomorrow comes, something else seems to inevitably pop up delaying the decision yet another day. Recovery is literally waiting. It is an open door. And one only needs to decide they are willing to step forward to get the process started. This first step is sometimes a simple phone call, or asking someone to help you find a recovery resource. There is an old saying "Today is the first day of the rest of your life." Recovery represents an investment in the rest of one's life. Waiting for things to change does not work. But you do not have to wait around. Decide to take action, and set the wheels in motion. Your recovery … begins with an honest desire to get help. Do something today. Choose recovery. Make the call. Ask for help. The rest of your life is waiting for you. Each methadone program outlines important policies and procedures that their clients need to be familiar with as they enter methadone treatment. By necessity, methadone clinics operate with a considerable number of program rules pertaining to the clinic's operation and their clients' participation. These rules and procedures must be well-organized and readily available to all clients. Most clinics publish a client handbook that is organized into topics & categories covering the essentials a client should know about program operation, client rights & privileges, important methadone cautions, advancing through the methadone treatment phase system, and numerous other issues. If you are a new client, please do take time to review any orientation packet or program handbook that your methadone home clinic provides you. Becoming familiar with the procedures for each department (medical, clinical, billing) will help you become more comfortable with treatment and also reduce the chance of any future problems. For example, new clients sometimes do not understand that arriving late (after dispensing has finished for the day) may likely result in not receiving one's methadone dose. This often results in feelings of worry and anxiety that can interfere with the rest of your day. So be sure to know when dispensing is over and don't wait until the last minute to arrive at your clinic for dosing. Your counselor, or the dispensing nurse, should be able to get you a copy of the client handbook if you don't have it or have misplaced your original. Having a program handbook nearby is especially helpful when you are at home or don't have immediate access to program staff for answering sudden questions. Methadone clinic availability seems to follow states with high population numbers or with a substantial population growth curve. The most populated states, in order, are: California, Texas, New York, Florida, Illinois, and Pennsylvania. Accordingly, these six states also have the highest concentration of methadone clinics although New York has more clinics than Texas, and both Illinois and Pennsylvania provide more clinics than does Florida (even though Florida's population exceeds both states). On the lower end of methadone clinic availability in the United States are South Dakota (population 819,261), North Dakota (pop. 646,086), and Wyoming (pop. 548,870). None of these states currently have a methadone clinic in operation. One might surmise that their state tax revenue is comparatively lower than most other states. Whether this is a contributing factor to the absence of methadone treatment is an interesting question. Also, might these states have a lower percentage of opioid addiction relative to states with larger metropolitan cities? Somewhat oddly, Mississippi (the 31st ranked state with nearly 3 million residents) has only one methadone maintenance clinic in the entire state. Alaska (with only 697,228 residents) has two methadone clinics, one in each of its two largest cities: Anchorage and Fairbanks. A trend has emerged in the past decade in which methadone treatment availability is spreading across America. Many smaller, rural towns now have a local methadone clinic to help those with an opioid addiction. No doubt, more clinics are needed, and will be built. 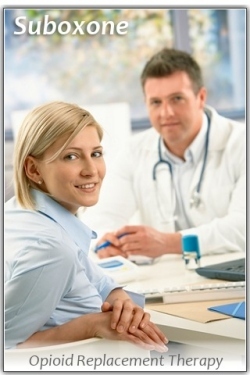 Methadone treatment is like most any other valuable medical service in that it improves quality of life. And this is important … everywhere.